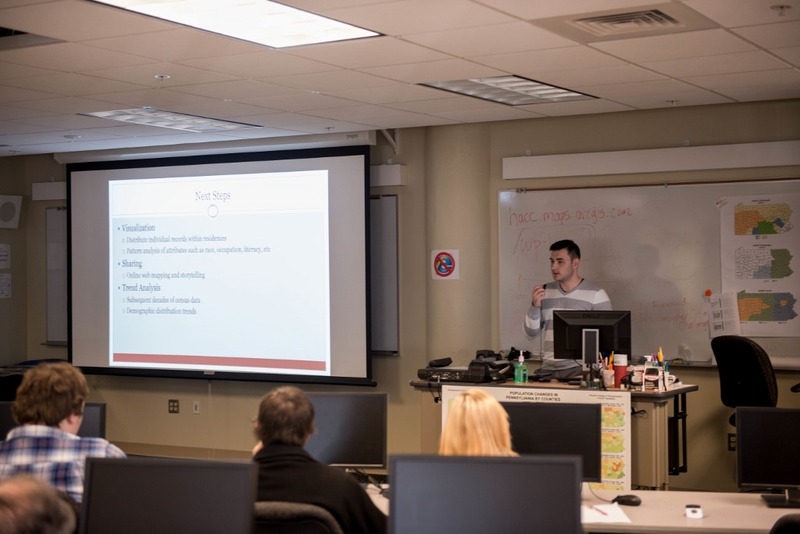 Since our last update, faculty and students from Messiah College, Harrisburg University of Science and Technology, and Harrisburg Area Community College presented on research related to Harrisburg’s City Beautiful movement. I embed below the draft of a process paper about the work we’ve done over the last year. Our second presentation occurred on Wednesday, Nov. 19, at Central Pennsylvania GIS Day at Harrisburg Area Community College. Students and faculty from Messiah, HACC, and Harrisburg University gave the opening session on “GIS and the Harrisburg City Beautiful Movement.” Below, Messiah College and Harrisburg University students Rachel Carey, Rachel Morris, and Dan Stolyarov discuss their part for the City Beautiful project. 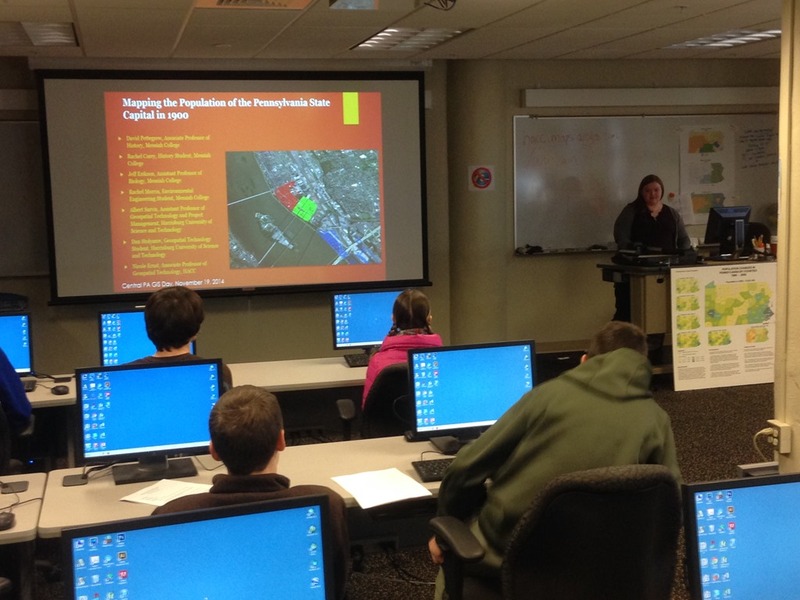 The group also gave a workshop on working with the census data to area high school students and GIS professionals. High school students were fascinated by the opportunity to visualize Midtown, Harrisburg, in 1900. 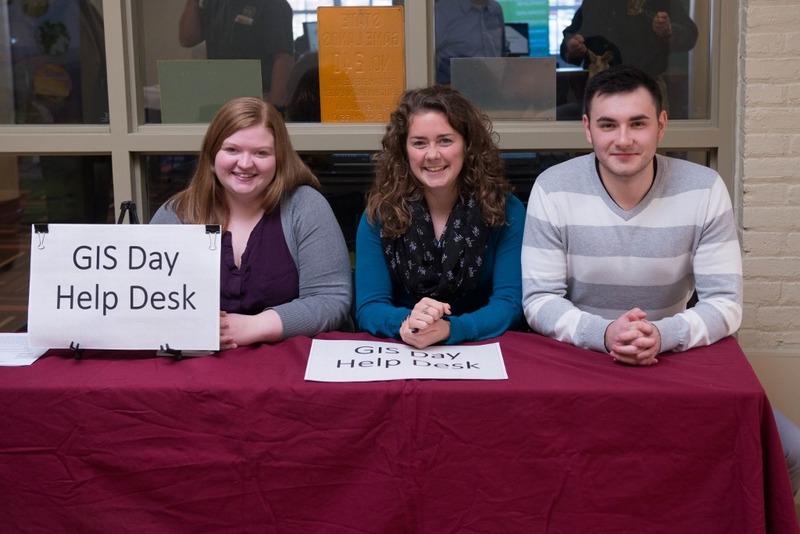 Here is the presentation from the GIS Day. 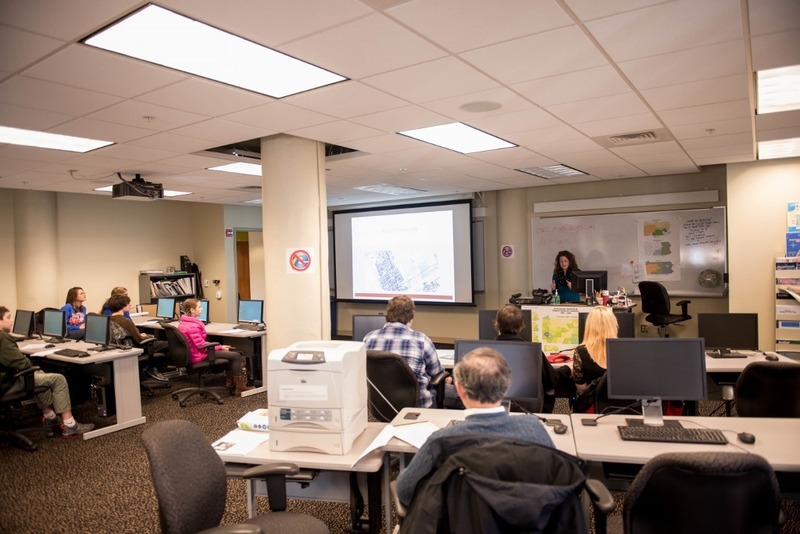 Our second main activity has been to improve the connection between the federal census database for Harrisburg 1900 and the GIS map of the city in 1901. We’ve been manually going through the people-less properties in the GIS and the homeless people in the census database to place missing people into empty homes. At our last report, we had an 84% match rate between properties and census data, and a 72% match rate with the population. Professor Sarvis now reports that we’ve been able to link 45,415 individuals from the total population of 50,167 (90.5%) to places on the map. Our third highlight is the launch of a beta version of an interactive map of the city in 1900. We’ll announce this tomorrow or Wednesday. For the spring, our work will continue in different ways. 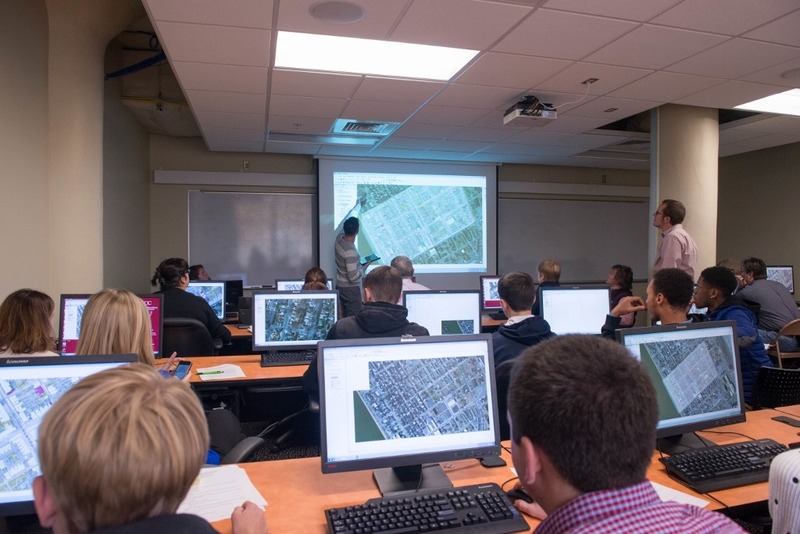 Other courses at Messiah College scheduled for next semester, such as U.S. Urban History and Pennsylvania History, may develop the initiatives in new ways. And student projects, including a documentary on the Harrisburg Giants, should develop substantially. Check back this week for our announcement of the Interactive Map of Harrisburg in 1900.